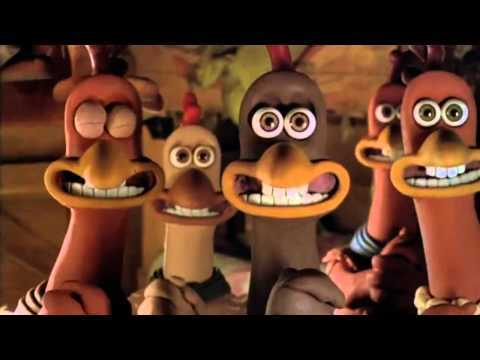 Featuring incredible animation and all-star talent, Chicken Run is a classic from the creators of Wallace & Gromit! While the chickens on evil Mrs. Tweedy's farm dream of a better life, a clever hen named Gingers is hatching plans to fly the coop! The only problem is chickens can't fly...or can they? Every escape attempt goes fowl until Rocky a smooth-talking All-American rooster, crash -lands into the coop. It's poultry in motion when Rocky attempts to teach Ginger and her fine feathered friends to fly but, with teamwork, determination and a little bit l'cluck, the fearless flock plots one last daring attempt in a spectacular bid for freedom! Captain John MIller (Tom Hanks) takes his men behind enemy lines to find Private James Ryan, whose three brothers have been killed in combat. Surrounded y the brutal realties of war, while searching for Ryan, each man embarks upon a personal journey and discovers their own strength to triumps over an uncertain future with homor, decency and courage. Of course it's not so much an action movie as it is a moving tribute to the heroes of World War II, with superb direction by Steven Spielberg and one of Tom Hanks' finest performances.